Chick-fil-A restaurants may be closed on Sunday, but that doesn’t mean you can’t enjoy chicken at home. Impressive, yet surprisingly simple, this recipe by Chick-fil-A Chef Christy Cook is the ideal Sunday dinner, when you have time to pop the chicken in the oven and relax. 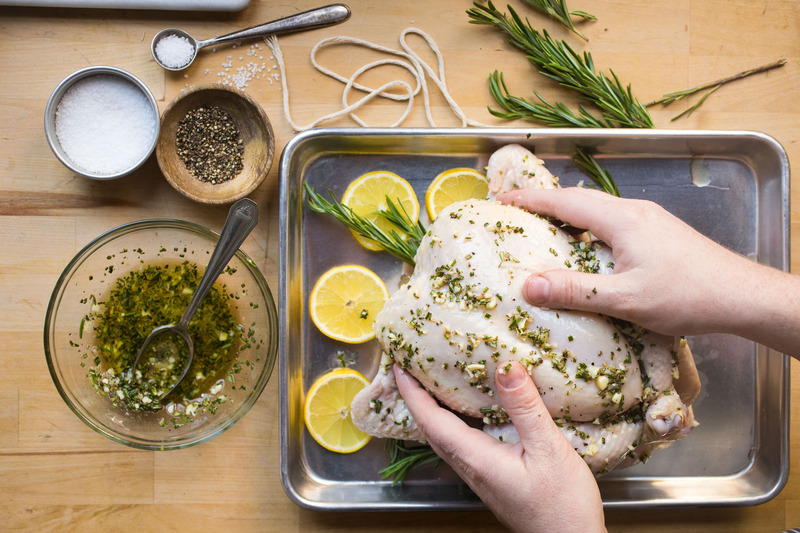 Roasting a whole chicken may look intimidating, but according to Cook, it’s easier than it seems. For newbies, whole chickens come in a sealed package at the grocery store. Before cooking, remove the giblets and neck from inside the bird. Then, rinse the whole chicken with water, pat it with paper towels and go to a clean work surface. Make sure to have a roasting pan with a rack to cook your chicken once you’ve prepped using the recipe below. Leftover chicken may be used in chicken salad, soups or tacos. 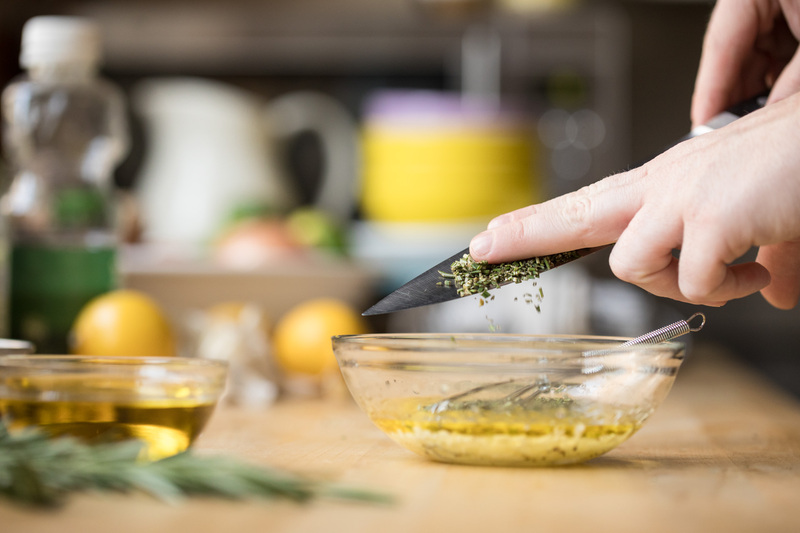 In a large bowl, whisk olive oil, lemon juice, garlic, lemon juice, salt and pepper. Remove the giblets and neck from the chicken. Place the lemon slices in the bottom of the pan and top with the 2 sprigs of rosemary. Place the roaster on top of the lemon & rosemary. 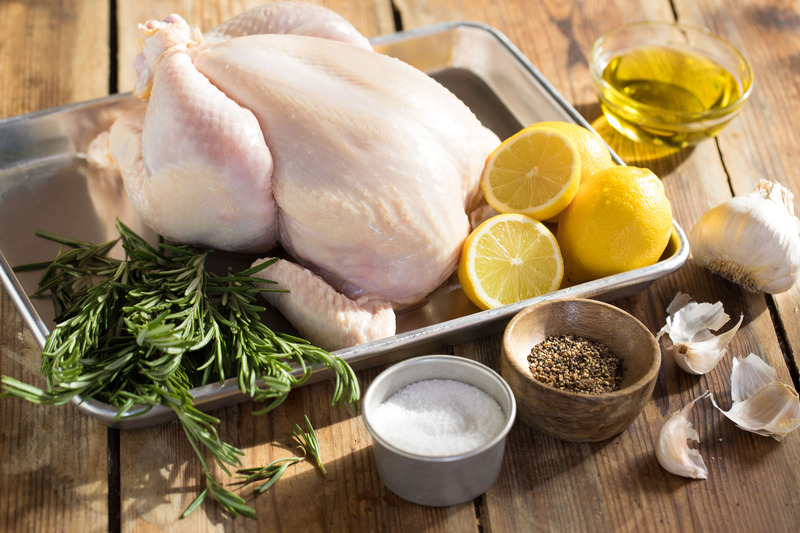 Rub the seasoned lemon oil over all surfaces of the bird, including the inner cavity, using all of the seasoned oil. Place bird in oven with breast side up in a roasting pan or large casserole dish. Every half hour, baste the bird with the pan juices using a brush or baster. Roast for approximately 1.5 hours or until juices run clear and inner temperature is 165 degrees.